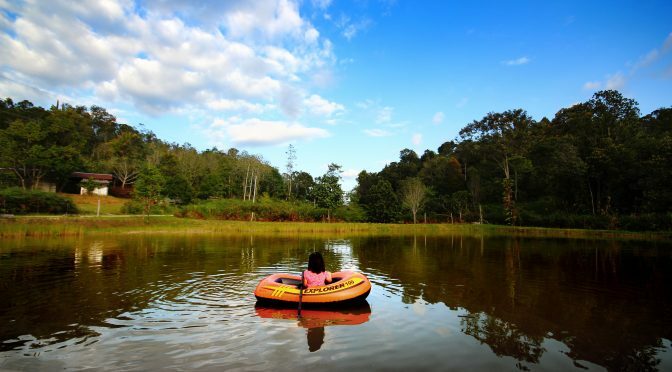 Bario – The Kelabits Highlands is where the Baram River starts. Its rivers and tributaries feed into many rivers downstream and ends up in the Baram Delta – or Kuala Baram, (north of Miri City). The Kelabit Highlands’ biggest river is the Debpur River. It’s a major source of food and means of transportation. In Kelabit, it’s called the ‘Paq Debpur’. In some parts, it’s rocky whitewater, and in some parts it goes deep and slow, but for Bario, it’s big. If you’re up in Bario, you can kayak down the Debpur river and tell the folks back home that you’ve paddled the source of the great Baram River. This video explains it all very well.